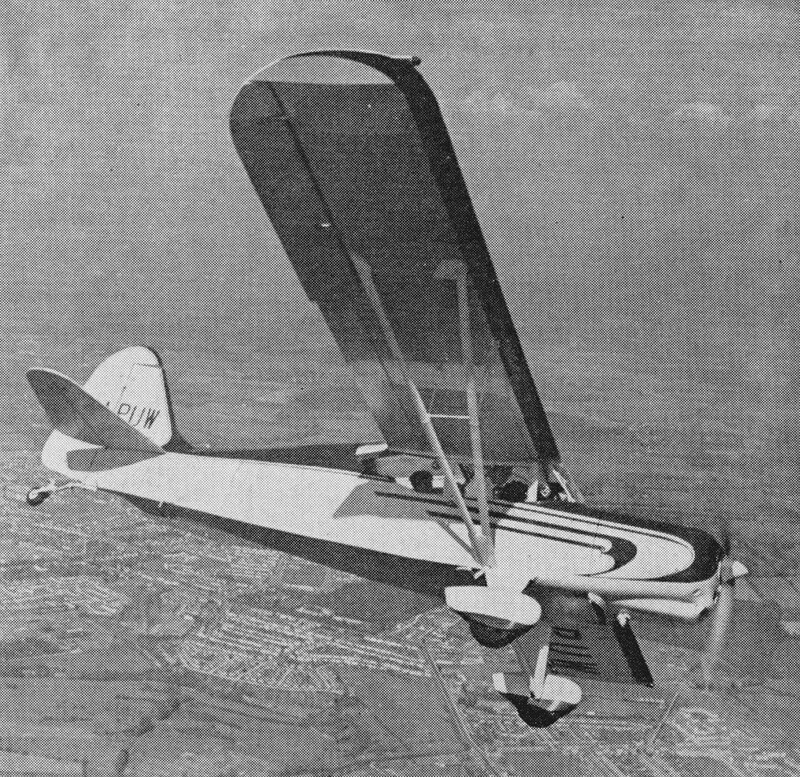 A new range of Auster lightplanes appeared in early 1960. 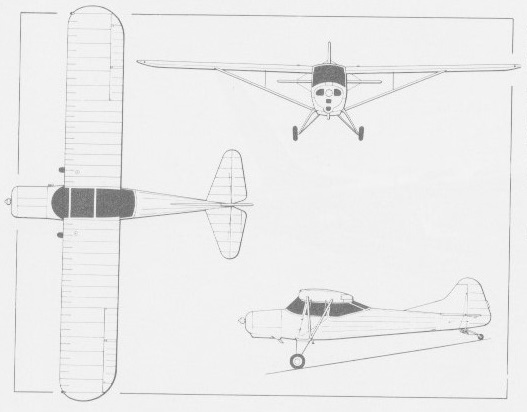 It included the two-seat D.4, three seat D.5 and four-seat D.6, all powered by Lycoming engines and featuring metal spars. The prototype D.6 was also known as the J/5V. 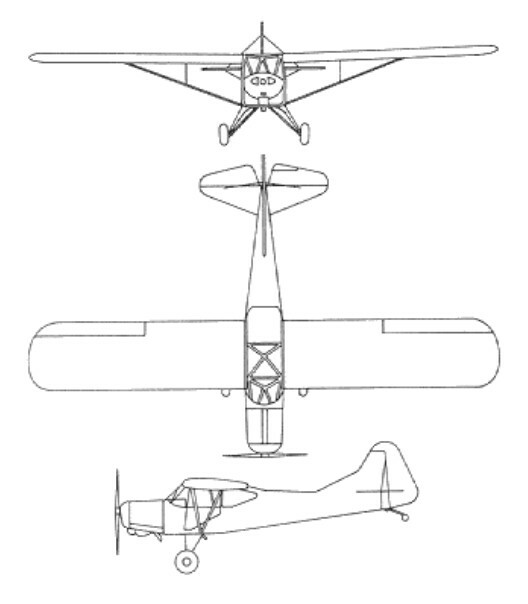 The 1961 types in the Auster range - D.4, D.5 and D.6 ‑ development of the Auster Alpha were announced with Lycoming engines, but since then the company was taken over by the Pressed Steel Co., Ltd., as part of its Beagle (British Executive and General Aviation, Ltd.) group. Beagle has announced that Rolls‑Royce/Continental powerplants will be installed in Auster/Beagle aircraft being developed under the direction of Mr. Peter Masefield. The Beagle group had continued production of the Auster D.5/160 and Auster D.5/180, the latter as the A.113 Husky when fitted with a 134kW Lycoming O-360-A1A engine. A major innovation of the D series was the use of metal wing spars which, with new low-flammability long-weathering plastic-based butyrate dope and paint finishes, made the D entirely suitable for use in the tropics. The D.4 was a two-seater with either a 9.75m or 10.98m wingspan and an 80, 112/119 or 134kW Lycoming engine; the D.5 was a three-seater offering the two wing spans but only the 119 and 134kW engines; and the D.6 was a four-seater with the greater wing span and engines as for the D.5. The first production D.4/108 flew on 12 February 1960. The first D.5/160 on 10 January 1960. 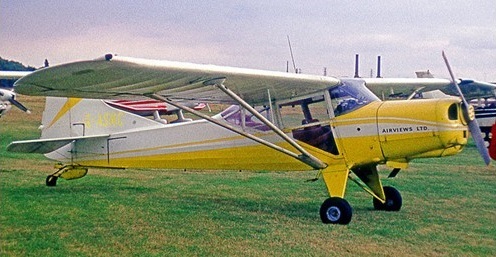 Beagle developed the D5/160 as the "Beagle D5/180 Husky" with a 180 hp Lycoming O-360 engine, the first being G-ASBV first flown in 1962. A small number were sold until production was discontinued in 1967. The first D.6/160 flew on 9 May 1960. 133 examples (Auster D.5/160) were built by the Oficinas Gerais de Material Aeronáutico in Portugal from 1961 onwards; and the Portuguese Air Museum preserves two of these; one in flying condition. The designation "A.113" was only a design number and was not used in promotional material or in aircraft registrations with the Civil Aviation Authority where the term 'D5/180' was preferred. Additionally, the name Husky was only given to this version and not to the D5/160. One Beagle Husky (XW635) was won by Sir Billy Butlin in a raffle and presented to the RAF's Air Training Corps in 1969. It flew with No. 5 Air Experience Flight, flying air cadets from Cambridge Airport until it was retired in 1989 and sold to a civilian user. Operators included the Burma Air Force, Portuguese Air Force, and Thai Border Patrol Police - One aircraft only.